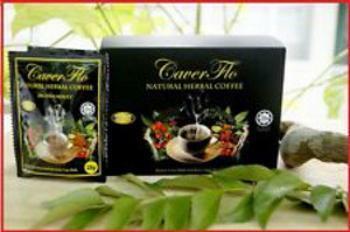 Caverflo.com is recalling all lots of Caverflo Natural Herbal Coffee. FDA laboratory analysis confirmed the presence of undeclared active ingredients in two FDA-approved prescription drugs used for the treatment of erectile dysfunction. The company has received a report of one death after use of the coffee. The product may also contain milk, an allergen not declared on the label. The recalled product is used as a male enhancement, packaged in 25-gram black foil packs, UPC 9555671709994 and was sold from August 2016, through February 2017. It was distributed nationwide to consumers via internet at Caverflo.com. Customers who purchased the recalled product should stop using and discard it, and contact their doctor. Consumers with questions regarding this recall can contact the company by calling 214-803-4652 or by email at coffeekingb@yahoo.com Monday thru Friday 9am to 5pm (CST).